So much fun! My friends and I bought Living Social deals ($35 for 2 people, would've originally been $56), and it totally lives up to the hype. There were 4 of us, so they paired us up with a family of 4 (mom, dad, and two boys) to do the Jekyll and Hyde mission. The mission itself is a cleverly and intricately designed set of puzzles and riddles that really test your analytical skills, mental quickness, resourcefulness, and teamwork. Not only is it great to do with your family and friends, but also a good team building exercise for businesses and organizations. The employees were really nice and helpful throughout the entire experience. Very accomodating in scheduling our mission, prepping and answering questions before and after the mission, and taking our pics at the end (props included!). The place itself is pretty easy to find even if you're not familiar with Chinatown or NYC at all. The office, bathroom, and escape room are nice and clean. We also spent another half hour hanging out in the waiting area playing with other games and puzzles they have out on the table. And afterwards, there were plenty of choices to get food, drinks, or just walk around. We're hooked and will be back again! Definitely a lot of fun in one hour! A few friends and I did the Escape the Hydeout room recently and we had a blast trying to solve our way out of the room. I don't want to give too much away, but this room was actually a bit challenging, however we managed to escape with 3:30 left! We were actually told that the room only had an 18% escape success rate! The main concept was pretty simple - we were all locked in a room together and had 1 hour to escape it. There were clues scattered around the room, so we turned the room inside out scouring for clues. If you get stuck and need guidance, the team is allowed to ask for 3 clues/hints via a television panel on the wall. If you've done the Escape the Room challenges then you're familiar with the concept. Overall, the experience was a blast! The employees were excellent in explaining to us the background of the room and the rules of the game. Unfortunately, there aren't many rooms here, but they informed us they planned on opening up a new one soon, so maybe we'll be back again! Who knew this place is stuck into a local office building in Chinatown among all the Boston/DC bus companies? Sally W. & Rich W. invited me along for an Escape the Room game and for my first time, it was a BLAST! I love stretching the cerebral muscles and this was a great way to spend a couple of hours hanging with a group of friends. If you scream for "HELP! ", words show up on a monitor screen that your host communicates through to prod you in the right direction. When we finally solved the last puzzle and escaped the room, we ran out of there screaming like a bunch of 5 year olds! With 5:41 left on the clock! Oh yeah, and we left everything lying around like a bunch of 5 year olds in daycare before naptime. Just glad we didn't have to clean up the mess and reset everything for the next group. This is addicting and I'm hooked because I love these types of brain games. I'm going to organize a group of people to try the other themed rooms now! They said that they rotate and come up with new themes every few months to keep the game fresh and for you to come back to try new ones. SO MUCH FUN! We did the Hydeout Room - such an interesting story line, which made it so much more exciting. I can't reveal too much but you definitely want to try it out for yourself. The employees are so nice and took the time out to explain everything to us. The place was extremely clean and spacious, with interesting toys to play with while we waited. Gather your friends and go! Wow. 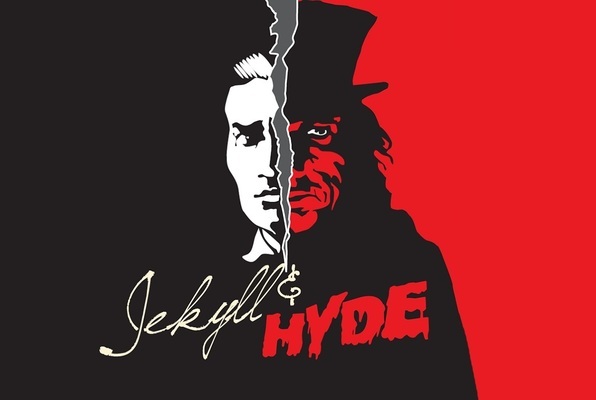 I was extremely impressed by mission escapes Jekyll and Hyde room. I have been to two other escape rooms in Chinatown and this one is miles above the others in terms of quality, fun and design. This room actually has two "wow moments" where you just stand back and enjoy the work they put into the details. Before you decide to go to one of the other guys for a couple dollars less, read this review and choose the best and more memorable experience... You will have a great time!